We use Alpha Anywhere to develop large scale business applications. So far, we haven't found any real limitations. This is exemplified by my response to my customers who frequently ask, "Is it possible..." I always interrupt them before this sentence goes any further by telling them, "with our development platform, anything's possible" (then we have to discuss whether the time/cost is worth the added benefit of what they're requesting). Adobe Phone Gap has an extremely simple user interface that allows for easy learning to occur. Adobe Phone Gap provides support for web languages and allows you to write in three of the main languages and transfer them to another language for use. This solves a common programming issue and is the greatest strength of the software. Their desktop application allows for easy installation and programming. Adobe provides quick support with questions about how to use the software. The build interface notifies you of errors extremely quickly and helps identify the issue in your programming. You get an easy idea of what needs to be updated and adjusted. Our company had been creating small business applications since the 1980's, when we used DBase IV (don't laugh... that's what was available). Then, we got more "sophisticated" with Microsoft Access. Clearly, we would always be limited with what we can do with those two programs. By accident, during an Internet search, we saw and ad for Alpha Anywhere (back then, it was called Alpha V). After working with the 30 free trial for just two weeks, we retired Access, for good. The best part was Alpha's flexibility in its use of "back end" data tables. That allowed us to use existing Access tables as we redesigned the front-end program (Alpha ships with its own DBF system, but we prefer SQL-Based tables). You can choose, SQL Server, MySQL, Oracle, Access, Paradox (actually, too many to name) for your tables. You can even create links to Excel spreadsheets or QuickBooks Tables. It's outstanding! Alpha allows developers to create very large and very complex programs. However, it's also a great choice for RAD (Rapid Application Development) for those who need to be up and running quickly or for less experienced programmers. Actually, the interface truly allows for "codeless" development of your application (more on that later). That means you can design a fully functional application, without typing a single line of code. They have some examples on their website. Prior to Alpha Anywhere, we never considered creating/developing "mobile" applications (for tablets, smartphones, etc.). Alpha created a unique "panel" system that makes those application work great... and allows for the design of very sophisticated Apps. I would like to see the ability to write mobile applications using SWIFT and then use Phone Gap software or plug-ins to be able to transfer the iOS language into the Android language or to Java, CSS and HTML. We've experienced errors when transferring from one language to another. We worked on solving the issue and then had to simply adjust the native language and functionality for it to work. I have a team of graphic designers who would be able to like to assist in building of the apps but they are very limited, so perhaps adding functionality like a wix or weebly where there are options given that can drag and drop so marketing teams can support development. Whenever I'm asked to criticize Alpha Anywhere, my first comment refers to the documentation. For sure, they've made some improvements, this year, but I still wish it were better. Because I moved from another development package, I really had to start learning from scratch... I've been at it, for years, and I still feel like I have a way to go. The good news is that Alpha has a very active Message Board and there are lots of people who generously give their time to answer questions and help solve problems. There's no "tech support" line to call for help. Alpha DOES offer a paid "mentoring" service, which I used, several times. Unfortunately, my experience with the mentors wasn't as positive as I hoped it would be. Alpha needs to improve its "templates" to make them more modern for users. I've never had a complaint from users, but I'd like my applications to have a newer, flashier look. Alpha Anywhere is a more robust, complete and lower cost solution for rapid desktop, web and mobile application cross platform development. Adobe Phone Gap had a positive ROI. The cost is small in terms of financial investment and is also small in terms of educating employees on coding languages. The time it takes to learn how to use the software is minimal. Time is crucial to meet client deadlines and Phone Gap definitely assists in speed of production. The negative impact is that the coding process becomes monotonous since our employees are already experts in Java and HTML, and they have an interest in learning to write in Swift and Python. Using just web languages could be boring. As a business it helps to meet and exceed expectations and projections. The company expects to launch 7 apps within the next 7 months, and currently already have 2 apps ready to launch within the first month of using Adobe Phone Gap software. Alpha is our sole Development Platform. It has enabled us to contract for some pretty large jobs. AND, we are regularly told, by our customers, that our programs have helped them improve their organizations, workflows and profits. 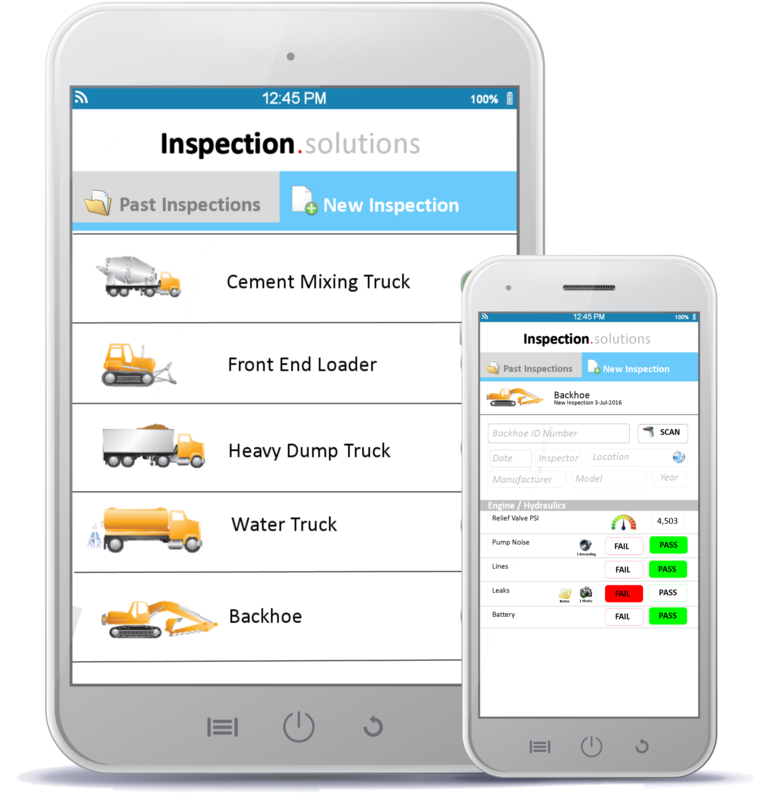 Inspection Solutions is a mobile business app designed for inspectors who need to inspect construction vehicles in the field, but showcases functionality relevant to many other field apps. The app includes the critical features now required in modern field services apps, such as offline capability, bar code scanning, voice annotation and digital ink. It is a native-quality hybrid app created using the Alpha Anywhere V4 rapid mobile application development and deployment platform.